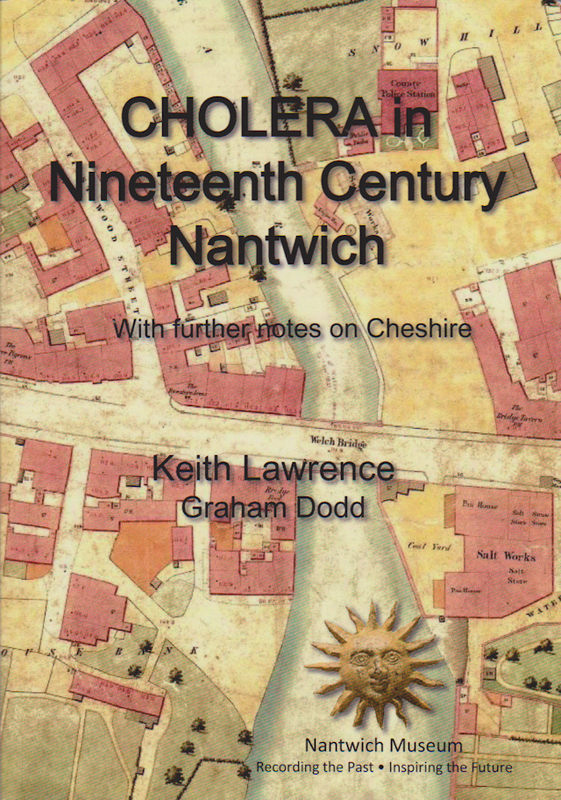 Local historians Keith Lawrence and Graham Dodd have just produced a book on Cholera in Nineteenth Century Nantwich. 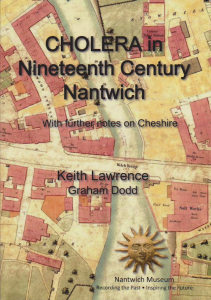 The first outbreak of cholera in Nantwich was in September 1832, mainly in the Wyche House Bank and Wood Streets. Fourteen people died in this outbreak. Another outbreak, in 1849, was much worse and resulted in 181 deaths in the Nantwich Hundred. The disease quickly spread as a result of poor overcrowded housing and bad sanitation. In one small lodging house there were 28 persons and rooms without windows! In one of the houses, in one dirty room there were three beds containing three men, three women and two children! Many were using the River Weaver for drinking water and disposal of sewage. Local historian James Hall tell us “No markets were held; and no fair in September ; even country milk-sellers refused to come to the town, and grass grew in the streets. Funerals took place daily, and at all hours; and, as it was deemed necessary to bury the dead as soon as possible, alarming reports were circulated that some had been buried alive”! The book is on sale in the Nantwich Museum shop (price £9.99).